Heavy 24% leaded Swarovski Austrian Crystal Classic clear faceted 50mm prism ball. These prisms create superb reflections of light and can be hung an ornament or placed on a dainty stand as a decorative crystal ball accessory. Perfect Feng Shui crystal for radiating Chi Energy!! 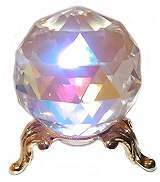 Swarovski 24% leaded Aurora Borealis faceted prism ball can be hung as an ornament or placed on a dainty stand as a decorative accessory. Exquisitely beautiful, these prisms are a perfect Feng Shui tool to energize a dead space with light. 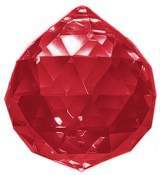 Swarovski Bordeaux or Ruby faceted prism ball can be hung as an ornament or placed on a dainty stand as a decorative accessory. Exquisitely beautiful, these 24% leaded prisms are a perfect Feng Shui tool to energize a dead space with light. Available in 11 colors Clear, AB, Light Amber, Bordeaux, Light Violet, Blue Violet, Emerald, Peridot, Rose, Medium Sapphire, Dark Sapphire. Swarovski Amethyst faceted prism ball can be hung as an ornament or placed on a dainty stand as a decorative accessory. Exquisitely beautiful, these 24% leaded prisms are a perfect Feng Shui tool to energize a dead space with light. Swarovski Blue Violet or Amethyst faceted prism ball can be hung as an ornament or placed on a dainty stand as a decorative accessory. Exquisitely beautiful, these 24% leaded prisms are a perfect Feng Shui tool to energize a dead space with light. Swarovski Light Peridot or Light Green faceted prism ball can be hung as an ornament or placed on a dainty stand as a decorative accessory. Exquisitely beautiful, these 24% leaded prisms are a perfect Feng Shui tool to energize a dead space with light. Swarovski Dark Sapphire or Cobalt faceted prism ball can be hung as an ornament or placed on a dainty stand as a decorative accessory. Exquisitely beautiful, these 24% leaded prisms are a perfect Feng Shui tool to energize a dead space with light. Swarovski Jet Black faceted prism ball can be hung as an ornament or placed on a dainty stand as a decorative accessory. Exquisitely beautiful, these prisms are a perfect Feng Shui tool to energize a dead space with light. Available in 12 colors Clear, AB, Light Amber, Amethyst, Cobalt, Emerald, Jet Black, Peridot, Rose, Ruby, Sapphire, Light Violet. 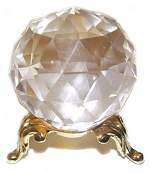 Heavy 24% leaded Swarovski Austrian Crystal Classic clear faceted 50mm prism ball. Superb reflection of light, can also be hung as a window prism. 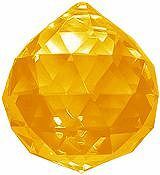 Perfect Feng Shui crystal for radiating Chi Energy!! 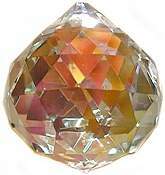 Heavy 24% leaded Swarovski Austrian Crystal Aurora Borealis faceted 50mm ball prism. Superb reflection of rainbow light, can also be hung as a window prism. Perfect Feng Shui crystal for radiating Chi Energy! !